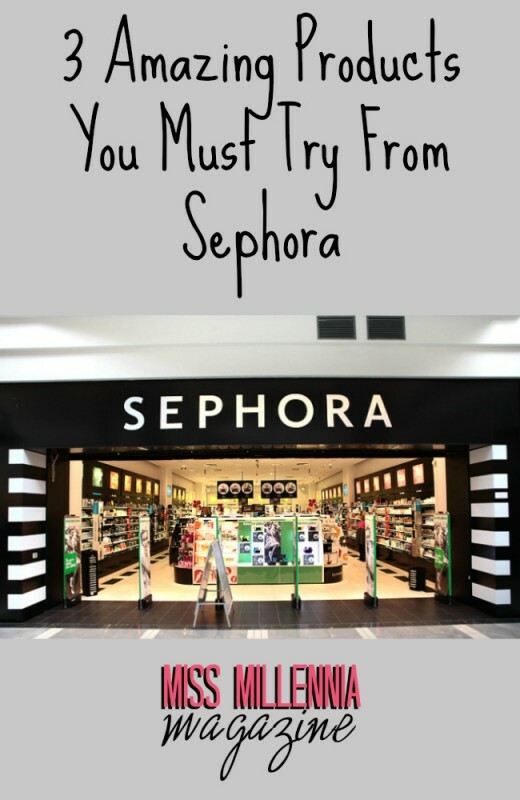 If you’ve never shopped at Sephora, you may wonder, what’s so great about it? The simple answer is, everything! My favorite aspect of this amazing store is that there are so many brands sold together. They have products ranging from Smashbox to Clinique to Coach. This combination is perfect for busy ladies, as most of us Millennials are. I have a job, two children, school AND my internship here at Miss Millennia. I don’t always have time to visit the mall to stock up on must-have beauty products. Sephora.com allows me to get all my favorite products in one place without leaving home. In fact, they now have an app for Android, so I can order on the go! Alternately, if you prefer the pizazz of an actual store, Sephora has 300 locations across Northern America, 1,300 international stores, and several smaller kiosks inside JC Penny. Sephora also saves you money. This has become increasingly important to Millennials, since we are from an era of an ever-changing economy. Sephora offers free, three-day shipping on purchases over $50 and always has great deals. At the bottom of the Sephora webpage, you can find two links, one to weekly specials and one to current sales. No matter when you visit Sephora.com, these links are available. They will almost always have one of your favorites on sale! Also, if you want to try new products, the sales and specials section is the place to go. Catch interesting looking products on sale and try them out. If for some reason the product isn’t for you, at least you didn’t pay full price. Now that you know what Sephora is all about, let me share with you a few of my favorite products! This unique fragrance elicits compliments from strangers and keeps you smelling good all day. I’ve searched far and wide for a superior fragrance but always end up keep coming back to Clinique Happy Heart. I dye my hair a lot and prefer vibrant reds, which fade fast. To help remedy this fading, I do not wash my hair every day. However, I like my hair to smell good and not look like a grease trap. So I use dry shampoo. After searching high and low for a good one, I finally found Oscar Blandi’s Pronto dry shampoo. It smells great, doesn’t cost blood or gold, and makes my hair visibly more lustrous than any comparative brand. The cherry on top is that it doesn’t contain many of the harmful chemicals others brands do. Great lashes are a keystone to any makeup regimen. It’s hard to find a good mascara because everyone is so different. I find that Kat Von D’s Immortal Lash 24-hour mascara works best for me. The spiral brush helps separate my lashes which always tend to stick together. Plus, the flexible wand gives me the fullness I’m looking for. Embrace the beauty of Sephora! I hope you all find as much joy and success from their products as I do. Previous Post: « ‘Giving Space’: Good for Relationships or a Red Flag?